A robust discussion has arisen concerning Bob Klein and his appearance last month before the governing board of the $3 billion California stem cell agency, a body that he once chaired and an enterprise that he once oversaw. The comments were triggered by the original "unseemly performance" item on the California Stem Cell Report and a subsequent comment by Francisco Prieto, a longtime member of the board. The comments discussed whether Klein was manipulated and whether he was engaged in so-called “revolving door” activity – the practice of former government officials, such as Klein, becoming paid representatives of enterprises that were involved with their former agency. The comments raise a number of interesting questions that we will discuss on the California Stem Cell Report during the next few days. You can read the remarks by going to this item and scrolling down to the end of the piece. Four researchers are appealing rejection of their proposals to win millions of dollars from the California stem cell agency just as the agency is moving to curb such reconsideration efforts by scientists. The latest appeals come in what the agency calls its basic biology round. The agency's governing board meets next Wednesday and Thursday to hand out as much as $35 million to as many as 25 scientists competing for the research dollars. The four appeals follow a record outpouring last month of attempts at reconsideration in another round. One upshot has been a proposal that would tighten the review process. That plan also comes before directors next week. The latest appeals – formally known as extraordinary petitions – were filed by Michael Teitell of UCLA, Deborah Lieu of UC Davis, Tony Hunter of Salk and Hanna Mikkola, also of UCLA. In all, their applications seek nearly $6 million from CIRM. Hunter's $1.8 million application had the highest scientific score, 70, of the four appeals. It ranked above three grants approved by reviewers. In his appeal, Hunter said “no major scientific issues were found” by reviewers concerning his application. He also reported new data involving a “major concern” of reviewers. Hunter said the information was developed after the application was submitted April 25. In the case of Lieu, reviewers said she was “relatively inexperienced.” Lieu's appeal said she has “24 publications with over 6 years of experience in the differentiation of cardiac muscle cells from human pluripotent stem cells, 12 publications (3 co-corresponding author) on human pluripotent stem cells and their cardiac derivatives, and 3 publications on the engineering of pacemaker cells” in addition to other related professional experience. She is seeking $1.3 million. Her application received a score of 68, ranking it above two other grants approved by reviewers and equal to a third also approved by reviewers. Mikkola said her application built on work previously funded by CIRM. She also cited new data that the reviewers did not have access to. Mikkola's application for $1.4 million received a score of 65, which ranks it above one grant approved by reviewers. Teitell's letter to the board also cited new data that is scheduled to published in November that deals with one of the concerns of reviewers. Teitell additionally disputed some of the critical information in the summary of reviewer comments. He is seeking $1.4 million. CIRM did not release a score on his application, although it appears to be below 63, the lowest score disclosed publicly by the agency. The $3 billion California stem cell agency on Tuesday released details of proposed, major changes in how scientists are allowed to appeal decisions when their applications for millions of dollars are rejected by grant reviewers. The agency posted on its web site a 4 ½ page plan to curb the free-wheeling pitches that reached a record level at last month's governing board meeting. Some of the changes would formalize ad hoc procedures that have emerged over the last several years. The plan would also make it clearer exactly what can and cannot be done or expected under the agency's appeal process, which is poorly understood by at least some researchers. CIRM also reiterates in a footnote its distinction between an “appeal” and an “extraordinary petition.” However, it is a distinction without a difference except to those in thrall of bureaucratic jargon. Both are appeals. Their purpose is to provide a method for overturning reviewers' decision under certain conditions. Details on CIRM's proposed changes came only four business days prior to next week's governing board meeting – a little late to generate thoughtful comment and constructive suggestions from those most likely to be affected by the changes – the 500 or so recipients of $1.6 billion in CIRM funding. Before final action on the changes, the board may well want to send out the proposal to all of its grant recipients and ask them for written comment that could then be considered at a public meeting of its Science Subcommittee. The CIRM board has been bedeviled by the appeal process for more than four years, including the presentations at its public meetings by scientists. Ironically, the first such public appearance was made by Bert Lubin, who is now a member of the CIRM board and CEO of Childrens Hospital in Oakland, Ca..
"I don't think we can run a board this way. If we do, it would be chaos." Lubin was later quoted in the journal Nature as saying that his rejected application did not come from “the in crowd” of stem cell researchers or organization. A final note: CIRM's proposal for changes in the appeal process also uses language that obfuscates exactly what researchers can do under state law. The document says that scientists “may” make oral and written comments to the board, which is a state government entity. In fact, state law makes it clear that researchers as well as any member of the public have the “right” to comment. The board legally cannot prevent them from speaking or making comments. And the board, to its credit, has always allowed ample public comment even when it slows the board's work. Researchers from the University of Southern California are making a pitch to overturn rejection of their $20 million grant application by reviewers in one of the signature commercialization rounds of the California stem cell agency. The appeal by Roberta Diaz Brinton and Lon Schneider will be taken up one week from tomorrow by the governing board of the $3 billion state enterprise. The USC application deals with Alzheimer's. It came in the $243 million disease team round that was considered last month during a record-breaking outpouring of appeals and a day of emotion-filled appearances by patients. CIRM directors adjourned their meeting without completing action on a number of items, leaving open the possibility of additional appeals such as the one from USC. Concerns about whether all applicants fully understand the appeal process have surfaced on a number of occasions over the last several years. The CIRM board, however, is generally reluctant to overturn negative recommendations by reviewers. It also almost never reverses positive recommendations. Next week the board is scheduled to make unspecified changes in the appeal process. No further details on those changes have yet been released by the agency although the meeting is just four business days away. In the Brinton-Schneider letter to the CIRM board, the scientists defended their scientific approach and responded to criticism by reviewers, especially those related to sedation. Reviewers expressed reservations about over-sedation, which the researchers said were erroneous. It is not clear whether other scientists will be making appeals during next week's board meeting. Directors of the California stem cell agency next week are expected to make unspecified changes in how scientists can appeal denials of their applications for millions of dollars in research grants. The move follows a jam-packed and emotional meeting last month in which the CIRM governing board faced a record outpouring of appeals of negative decisions by grant reviewers. The board is the ultimate arbiter on applications. While it almost never overturns positive decisions by reviewers, it sometimes approves applications that they have rejected. No details of the proposed changes in the appeal process are yet available for the meeting Sept. 5-6 in Burlingame, Ca. All that is known at this point is the following item from the board agenda: “consideration of modifications to the extraordinary petition policy and adoption of additional information policy.” Extraordinary petitions are the key vehicle for appeals. The appeals process has long troubled the CIRM board. It has made changes in the procedures, but last month's high stakes, $243 million round posed new challenges and consumed so much time that the board was unable to complete action on several items. As a result of the July appeals, the board sent five applications back for re-review. (See here, here and here.) Some of those are expected to come up next week and others at the end of October. The board agenda, however, did not specify which applications would be considered next week. Nor did it specify how many additional appeals have been filed in the round that was up for approval in July. A member of the governing board of the California stem cell agency, Francisco Prieto, has commented in an email about the “unseemly performance” item concerning the agency's former chairman, Robert Klein. Prieto is a Sacramento physician who serves as a patient advocate member of the board. He has been on the board since its inception. Here are his remarks. Bob Klein is nearly an icon in the history of the $3 billion California stem cell agency. And when he appeared before its governing board last month and aggressively touted a $20 million grant proposal already rejected by agency reviewers, his actions raised eyebrows. Klein's comments carried unusual weight, given that they were supported by his unique and influential relationship with the California Institute for Regenerative Medicine(CIRM). He and his associates wrote the 10,000-word ballot initiative that created the stem cell agency in 2004. He ran the $35 million electoral campaign that convinced voters to buy into the idea. Klein raised millions on behalf of the effort. He personally provided the campaign $3 million. And he was the first chairman of the agency, leaving that office only 13 months ago, when he was designated chairman emeritus. StemCells Inc. is a publicly traded company based in Newark, Ca., that was founded by renown Stanford scientist Irv Weissman, who sits on its board. Weissman also played an important role in the Prop. 71 ballot campaign that created the stem cell agency. StemCells, Inc.'s application was turned down by CIRM reviewers who gave it a score of 61, but the company appealed the action to the agency's governing board. Following the appearance by Klein, Weissman and others, the CIRM board sent the application back for more review. The board will reconsider it next month or in October. “He has considerable influence with the ICOC(the CIRM governing board), and is closely associated with biotech in the Bay Area. Even if he doesn't make a lot of money himself from this, then he certainly has friends who will. Irv Weissman would be one of those friends." In response to questions asked on Aug. 7 by the California Stem Cell Report, Klein today defended his actions. He was asked if he had “any sort of financial ties” to firms or individuals that would benefit from approval of the award. Klein, who is a real estate investment banker and also an attorney, said he has “no financial interest” in the firm or individuals that might benefit. Klein's appearance came at a propitious time for financially strapped StemCells, Inc. The company's financial information shows that it is losing $5.4 million a quarter as of the end of June and had only $9 million in cash on hand. It also had liabilities of $11.6 million, up substantially from $8.5 million in September of last year. "StemCells Inc has been on the stock market for 20 years, without producing anything of value for the investors. The stock price has been sinking fast: it was 60 cents this June; last year at this time, it was around $5 a share. 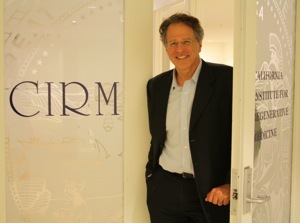 Weissman's role with the StemCells, Inc., is more than scientific. According to the company's financial statements, he holds 88,612 shares. His wife, Ann Tsukamoto, is executive vice president of the firm. She holds 185,209 shares in the firm. Weissman played a significant role in the Prop. 71 campaign. He did the “billionaire circuit,” raising money for the initiative, according to an article by Diana Kapp in San Francisco magazine. Among other things, Weissman worked the exclusive Bohemian Grove in Northern California and “pitched” Bill Bowes, a co-founder of Amgen, who, along with his wife, gave $1.3 million to the campaign. Weissman was the key to securing a $400,000 contribution from Microsoft's Bill Gates. Weissman also plumped for Prop. 71 in a TV campaign ad. In addition to StemCells, Inc., Klein and Weissman supported a successful attempt last month to overturn reviewers' rejection of another $20 million application by Judith Shizuru of Stanford. The application received a score of 53 from reviewers. One of the application's problems cited by reviewers was the availability of antibodies for the study. 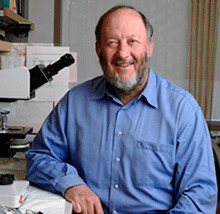 The antibodies were developed by Systemix, a company founded by Weissman. Systemix was acquired by Novartis in 1997 for about $70 million. Weissman said he has “negotiated back” rights to key antibodies, which he said are now held by Stanford. Klein said that reviewers believed the research was “a showstopper” but did not think the documentation was adequate. He told the CIRM directors that they now have a letter with proprietary information that supports the grant application. Our take: The stem cell agency has long labored under the perception that it is something of an insiders' club. Even the prestigious journal Nature warned in 2008 about what it called “cronyism” at CIRM. If anything, the situation is worse today, four years later. Enterprises associated with persons on the CIRM board of directors have received more than 90 percent of the funds handed out by the agency. Klein's efforts last month reinforce the not-so-pleasant image of the stem cell agency as an old boy's club and create an impression – at the very least – of unseemly insider influence. Here is the text of Robert Klein's response today to the California Stem Cell Report concerning his appearance before the governing board of the California stem cell agency July 26, 2012. Klein, former chairman of the agency, real estate investment banker and attorney, promoted two applications seeking $20 million each from the agency. Both applications had been rejected by the agency's reviewers. Here is a link to an item on the subject. "You have posed two questions related to my continuing role as a Patient Advocate in contributing information to the Board of the California Institute for Regenerative Medicine, in an effort to optimize decisions on medical and scientific grants and loans for research that could mitigate and/or cure chronic diseases or injuries. "Q: Do you have any sort of financial ties to StemCells Inc. or any of the individuals or firms that would benefit from approval of those awards by the ICOC(the CIRM governing board)? "A: I have no financial interest in StemCells Inc. or any of the individuals or firms that would benefit from approval of those awards by the ICOC. In fact, I have no financial interest in any biomedical research company. "Q: Do you think it is appropriate for the former chairman of the ICOC to lobby that body on behalf of awards to specific companies or individuals? "A: First, it is fundamental that the terms be defined to properly respond to your question. A “Patient Advocate” is a member of a patient family or a medical/scientific care /support group who advocates for medical and scientific advances that might potentially mitigate and/or cure a patient’s chronic disease or injury. A “Patient Advocate” is not paid for his/her advocacy, unless they are staff members of a non-profit institution dedicated to a specific disease or group of diseases or injuries. "Second, a “lobbyist” is a paid representative of a company or a for-profit institution(s) with a financial interest in the outcome of a governmental decision. "I am serving as a Patient Advocate in my presentations to the Board of the California Institute for Regenerative Medicine. As the former Chairman of the Board, I have a particular responsibility to contribute my background knowledge and experience for the Board to consider, along with all new information, in reaching their best decision. I hope other former Board members, who possess a wealth of scientific, medical, and institutional knowledge that can benefit the Board, would consider the value they can contribute to future decisions. As Board terms expire, it will be important not to lose that institutional knowledge and medical/scientific expertise that has been built up over the last seven plus years of the Agency’s existence. "In an outline format, I would suggest the following areas where the knowledge of former Board members can be especially valuable in optimizing the input for Board decisions in the future. "A number of Board members have participated in up to 20 or more Peer Review meetings, some of which cover multiple days. Current grant or loan requests represent the result of scientific and medical advancement that has been intensely vetted in prior peer reviews; the information gained in those peer reviews should not be lost, when a subsequent grant or loan request – built on the earlier research outcomes – is considered. Each peer review session has the benefit of different specialists and scientists and/or biotech representatives with unique backgrounds and areas of expertise. The value of the prior contributions may be pivotal, in considering a later application, developed from the earlier medical or research advances funded through CIRM’s grants or loans. The current peer review, scientific staff presentation, and Board expertise, is not the limit of the Board’s information, in reaching the best current decision. To the extent the Board can draw from prior peer reviews (unique insights), prior scientific staff presentations, and prior Board expertise, additional information that can enhance a potential decision, the Board has the opportunity to optimize its decision making process. This is particularly valuable, when there is a high standard deviation – a substantial split – in the scoring positions from the current peer review. "Beyond peer review participation, Board members have intensely engaged in another 35 plus Working Group sessions on Facilities and Standards, in addition to more than 70 Board meetings and over 125 Subcommittee meetings, as of August 2012. Retiring Board members possess a treasury of information on policy development, process, federal and state laws and regulations, and the regulations of the agency, as well as in depth information on research facilities and capabilities throughout California, the nation, and the world. It takes a substantial length of time for a new Board member to gain a comprehensive knowledge in all of these areas and each Board member will develop unique insights, which it would be a tragedy to lose. As Chairman, I frequently reached back to consult with former Board members on areas of their special expertise and I would hope that all current and future Board members utilize the significant asset in developed knowledge of the prior Board members. To the extent prior members can be available for public meetings, this would be a substantial benefit to the agency to broadly inform the Board, the scientific staff, and the public. "The Board has a unique contribution to make on programmatic resource allocations and risk management of the research and clinical investments in each disease area. The opportunities in some disease areas for major advancement are numerous, whereas there are major diseases and/or critical research areas where the potential, high-value advancement options are relatively limited. For Board members who have participated in over 20 peer reviews and 70 Board meetings, the programmatic perspective on the opportunities in each disease area has been highly developed. Concurrently, those Board members or former Board members have substantial knowledge that is of critical value in reaching programmatic decisions on the number of opportunities for advancement in any specific disease area and the relative risk that needs to be taken to accomplish meaningful breakthroughs in advancing the research and clinical opportunities in a disease and/or injury area. "I hope these examples of how former Board members can contribute to the current Board’s information in reaching decisions on the best medical/scientific grants and loans are helpful. As I stated earlier, it would be a tragedy if the expertise of Board members built up over six or more years is lost. The field is extremely complicated and the Board needs the opportunity to consider all of the information available. The Board can choose to accept or reject any past advice or opinions gained from prior peer review sessions or Board meetings, but the Board should have access to the full spectrum of information and the treasury of scientific and medical advice the agency has received since its inception. "There are areas that I have not addresses in this short response, such as the institutional value of applicants being able to rely upon prior scientific and/or policy direction, in their current applications. From a historical perspective, prior Board members and/or the Chairman can have significant information that is relevant to these evaluations, especially if the individual Board member served on a special Task Force , Subcommittee or peer review. These more complicated areas of individual contribution by former Board members I can address in a future communication; but, this specific subject – alone – could comprise several pages and I would like to obtain critical advice and perspective from other former Board members and the scientific community before discussing this area in greater detail. "California Institute for Regenerative Medicine"
Robert Klein, who served 6 ½ years as the first chairman of the $3 billion California stem cell agency, testified before the agency's board for the first time on July 26, 2012. Klein, a real estate investment banker and attorney, spoke on behalf of two applicants whose grants had been rejected by the agency's reviewers. The appearance has raised questions about the propriety of Klein's actions. Here is a link to an item on his appearance. Here is the text of his comments as reported in the transcript of the meeting. “As the board knows, I've never addressed any grant from the floor. It is critical here to understand that we have here StemCells, Inc., which is the only company in North America and, for that matter, maybe in the world, that has had two stem cell therapies in the brain with these specific neural stem cells. They have a huge body of experience here. “Secondly, one of the fundamental issues here that it (the company's grant application) was downgraded on was the issue of the fundamental concept, the platform concept, of injecting two focal injections in the brain, in the hippocampus of the brain. It's important to note that I've sat on three (CIRM)peer reviews where the scientists really affirmed this specific approach with extremely high scores, three different views. All right. “So it's very important to realize we have a standard deviation here of 12 (on the review scores). These scientists were completely split. With some recusals on that panel, if you have 12 or 13 that can really vote, three or four very low scores can bring it out of the funding category all the way down. It is in the region where this board is looking where the other three peer reviews, right, early translation, the one before that was the planning grant review, that the hippocampus was a good platform. “Then they said the key weakness was you can't show migration. Dr. Laferla (a co-PI on the application) has told me that today the Journal of Neuroscience accepted the publication of the data demonstrating migration. It was stated previously in the application, but it wasn't accepted for publication. It now is. That is the fundamental weakness that they identified in this approach. “So we have a reaffirmed approach to the hippocampus by three different peer review groups and a substantial portion of these reviewers along with data dealing with the weak point. I'm sorry it happened today. The data was out there, accepted for publication today, means that it should definitely fall into this category. And, of course, Dr. (Alan) Trounson (president of CIRM) wouldn't have been able to review that in process because he was recused from this grant by his own voluntary recusal. So the progress of this data being accepted for publication is new information today. Here is the text of Klein's remarks on behalf of a second application, also rejected by CIRM reviewers. “This is the only other disease team grant I will address. Very specifically, this was a disease team grant that I was on the peer review in the planning grant stage. There are some fundamental issues here. Is the international company on which the one antibody that's not coming from Stanford, the two for sorting are coming from Stanford, is the other antibody coming from this international company a commitment that you can rely on? “The reviewers said this was a showstopper. That's the word they used. They made a decision this was a showstopper because they did not believe the company because they thought that the documentation was inadequate. You now have a letter that goes into great proprietary depth about the depth of this company's commitments written by the head of development and translation internationally for the company. “If we cannot depend on company commitments of this type, and you will review the letter in executive session, if you have one, I will not understand how we'll be able to collaborate with companies with proprietary products and processes where they're making commitments to academic institutions of the highest standard. I believe this company is going to perform. I was on an hour call to confirm with eight members of that company their level of commitment, and I am completely convinced by that point. “The review is completely factually wrong on this issue about the other two antibodies for sorting this. Dr. (Irv) Weissman has just said they have not only been developed, they have been used in clinical trials. There's data on them. And they are, in fact, being thawed under FDA direction to reuse in this trial. “So I believe there's a major factual difference. Remember with Karen Aboody there was a major factual error that was pivotal in elevating that, and we found tremendous performance on that grant by Karen Aboody of City of Hope. “So you have a decision to make. As a risk issue, do we believe this company? Finally, this is broader than SCID. “Donald Kohn has written a letter that's in the public domain that I suggest you read. It makes it very clear that opening the niche for repopulating the immune system without chemotherapy and radiation is a key contribution to every form of genetically modified stem cells for an entire range of childhood diseases and other genetic diseases in addition to therapies like sickle cell or aids. Here is a list of articles from the California Stem Cell Report as well as CIRM documents dealing with the grant appeal process at the California stem cell agency. The list was prepared on Aug. 16, 2012. To read the entire articles, click on the links. A tiny opening exists for scientists who failed to win approval last month of their bids for $20 million research awards from the California stem cell agency. Directors of the California stem cell agency today approved $151 million in research awards aimed at commercializing stem cell research and pushing therapies into clinical treatment....Five of the applications involving appeals were sent back by the board for more review. (See here, here and here.) They will be considered again in early September or October. Passion and favoritism, democracy and gamesmanship – all are part of the ongoing discussion among directors of the $3 billion California stem cell agency as they try to fix what some of them call a “broken” grant appeal process. The California stem cell agency early today belatedly posted a two-page memo on proposed changes in how it will deal with appeals by scientists whose grant applications have been rejected by reviewers. A key step in the process for awarding billions of dollars in research grants is “broken,” according to many directors of the California stem cell agency, and major changes are looming that will affect hundreds of scientists. Directors of the California stem cell agency today approved $25 million for immunology research, overturning four negative decisions by its grant reviewers. Directors faced a record nine public petitions to reverse its reviewers. After some grumbling, the directors, who see only a summary of the application and reviewer comments, okayed the four. The California stem cell agency has set another benchmark, although this is one that it may not want to trot out at international stem cell gatherings. Eight scientists whose applications were rejected for funding by the CIRM grants working group and scientific reviewers are seeking to overturn those decisions at the agency's board meeting in San Diego on Tuesday. It is the largest number of “extraordinary petitions” ever filed and amounts to more than one out of every four applications that were turned down. The total number of applications received was 44. Fifteen were approved. Some of the researchers are likely to appear at the board meeting and make a personal pitch. Every California stem cell scientist and researcher looking to join the field – be they from academia or business – should pay very close attention to a meeting next week of a key group of directors of the $3 billion California stem cell agency. They plan to discuss possible changes in how scientists compete for stem cell cash, which is no small matter since CIRM has another $2 billion to hand out over the next several years. Transcript of July 20, 2010, meeting of CIRM directors Science Subcommittee. Discussion of petitions begins on page 40. Transcript of the June 22, 2010, CIRM directors meeting. Discussions of extraordinary petitions begin on pages 24 and 67. Directors of the $3 billion California stem cell agency will hold a special, teleconference meeting next Tuesday to deal with business that was put off last month, including a new, $70 million research round. The meeting is necessary because directors could not finish their business July 26 after they lost the supermajority quorum required to do business. They delayed action on a number of matters, including the translational research proposal, which is scheduled to be posted as an RFA next month. The governing board also had discussed dealing with changes in its intellectual property rules at next week's meeting, but that proposal is not on Tuesday's agenda. The next meeting of the board is Sept. 5 and 6 in San Francisco. The agency has confirmed that it will be a two-day session. At least one new appeal is expected to come up in September in the $243 million disease team round that consumed so much time in July. Next week meeting involves a host of locations throughout California. The public is entitled to participate in the session from any of those sites. The specific addresses can be found on the agenda. On July 26, the agency's governing board okayed $151 million for eight scientists during a day filled with emotional testimony from patients, as well as appeals by researchers seeking reconsideration of rejection by grant reviewers at the California Institute for Regenerative Medicine. The board also asked reviewers to take a fresh look at five applications in its signature disease team round. However, the board failed to act on eight applications, meaning that they are still pending. Normally the board will approve -- as a group -- one set of applications. Then, at the same meeting, it will vote to reject another set of applications. On July 26, however, the hard-pressed directors late in the afternoon lost the supermajority quorum (65 percent) required to do business and adjourned without acting on all the applications. This situation rarely occurs on award rounds. In our recollection, it has happened only once before although there may have been other occasions. That leaves an opening for more researchers to ask the board to act favorably at its Sept. 5-6 meeting in San Francisco on applications rejected by reviewers. Money is available. The July 26 round was budgeted for $243 million. At the meeting last month, discussion by directors provided several clues to appropriate avenues for reconsideration. They were interested in appeals, formally called extraordinary petitions, that brought genuinely new information to the table. Serious errors in the reviews – something more than differences of opinion – were of interest. Wide variance in the spread of scientific scores on specific applications, including the preliminary scores, also triggered directors' interest. Researchers considering appeals would be well-advised to listen to the audiocast of the meeting to hear the discussion of appeals. The transcript of the meeting also should be posted soon on the CIRM website, probably this week. The transcript can be found via this page when it is posted. The audiocast instructions can be found on the July 26 meeting agenda. Proposition 71 last week once again stood in the way of action by the $3 billion California stem cell agency. This time it was a bit of minutia embedded in state law that prevented the agency's governing board from going forward. The result is that the board will have to hold another meeting in August to approve matters that need to be acted on in a timely fashion. The minutia involves the supermajority quorum requirement for the board, the percentage of board members needed to conduct business legally. Proposition 71, the 10,000-word ballot initiative that created the agency in 2004, stipulates that 65 percent of the 29 members of the board be present for action. Here is what happened: Late last Thursday afternoon, CIRM directors were moving fast after a long day of dealing with $151 million in research awards. But as they attempted to act on proposed changes in the agency's important intellectual property rules, one of the board members left the meeting, presumably to catch a flight. The result was that the meeting quickly ended after it was decided to deal with the IP proposal and another matter during a telephonic meeting this month. The quorum problem has plagued the CIRM board since its inception, although the situation has eased since J.T. Thomas, a Los Angeles bond financier, was elected chairman in 2011. A few years back, the board also changed its rules to allow a limited number of board members to participate in meetings by telephone, reducing the pressure on board members to physically attend meetings. The obvious solution would be to change the quorum to 50 percent, a reasonable standard. However, the board is legally barred from doing that. To make the change would require a super, supermajority vote, 70 percent of each house of the state legislature and the signature of the governor. That is another bit that is embedded in state law, courtesy of Proposition 71. To attempt to win a 70 percent legislative vote would involve a political process that could be contentious and also involve some horse-trading that the stem cell agency would not like to see. Why does the 65-percent quorum requirement exist? Normally, one would think such internal matters are best left to the governing board itself. It is difficult to know why former CIRM Chairman Bob Klein and his associates wrote that requirement into law. But it does allow a minority to have effective veto power over many actions by the governing board. Of course, there is another way to look at the problem: CIRM board members could change their flights and stick around until all the business is done. But that would ignore the reality that all of them are extremely busy people and have schedules that are more than full. All of this goes to one of the major policy issues in California -- ballot box budgeting and the use of initiatives that are inflexible and all but impossible to change, even when the state is in the midst of a financial crisis in which the poor, the elderly and school children are the victims. One California economist has called the situation "our special hell." For more on some of the other problems created by Proposition 71, see here(cap on size of staff, which took legislation to remove), here (board cannot nominate its ownchairman), here (dual executive arrangement).